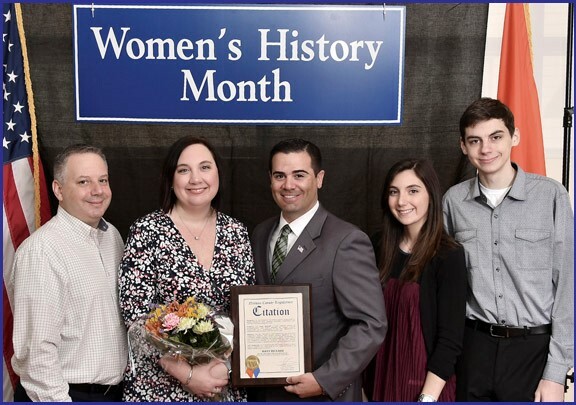 It was Nassau County Legislator John R. Ferretti’s pleasure to honor Mary Rickard as the 2018 Trailblazer for Women's History Month on Monday, March 12, 2018 at the Nassau County Legislature for District 15. Thank you for all that you do for our School District and our community Mary! Shown in photo above, left to right: Mike Rickard, Honoree Mary Rickard, Legislator Ferretti, Shelby Rickard and Lucas Rickard.